An impressive set for what is probably the most wonderful travel experience of the early Thirties. Lovingly realized, rich in detail and with an eye for what is special. Listen in on a conversation for example in the parlor car or enjoy the evening trip with a glass of champagne. This exclusive item cannot only be ordered in our Online shop but also at selected dealers. Please contact your dealer directly about it. 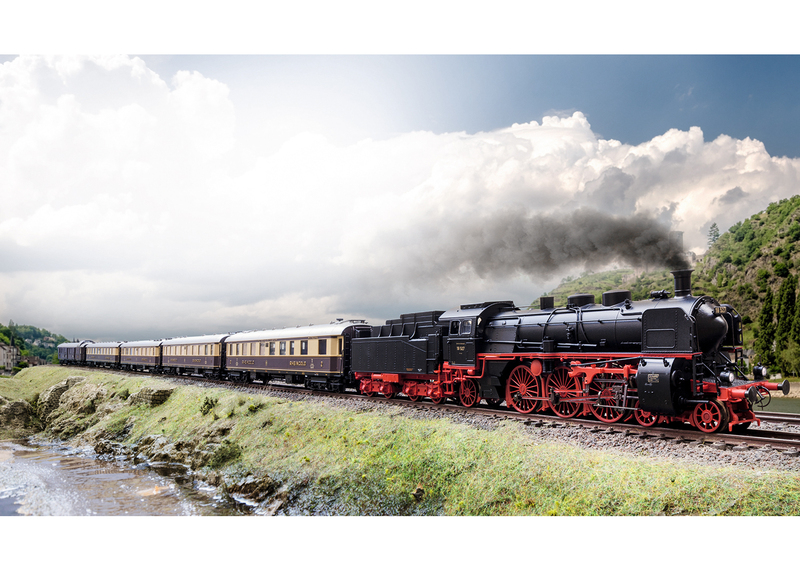 mfx+ digital decoder with a variety of operation and sound functions, mounted in the locomotive. Additional digital decoder for light and sound functions, mounted in the baggage car. Locomotive includes cab lighting and flickering light in the firebox. Cars include factory-installed interior lighting. Operating current-conducting couplers between the cars. 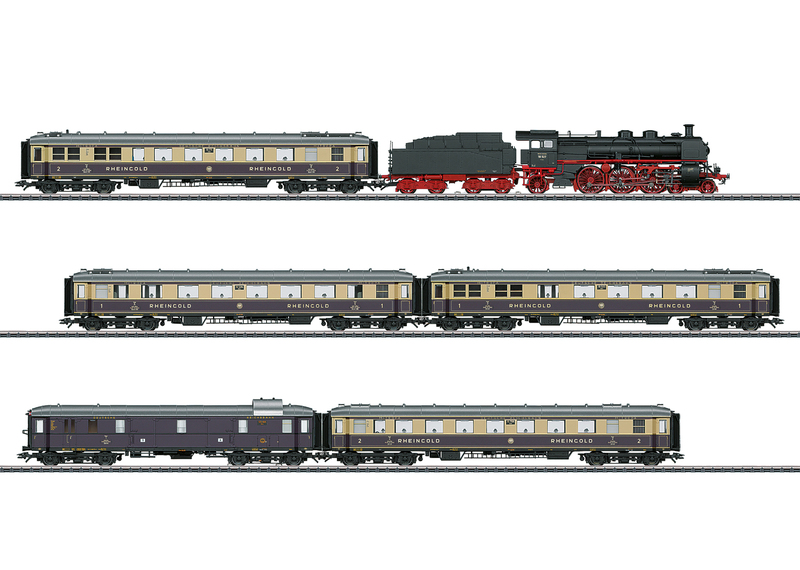 For the anniversary "90 Years of the 1928 Rheingold", limited worldwide to 2,999 train sets. 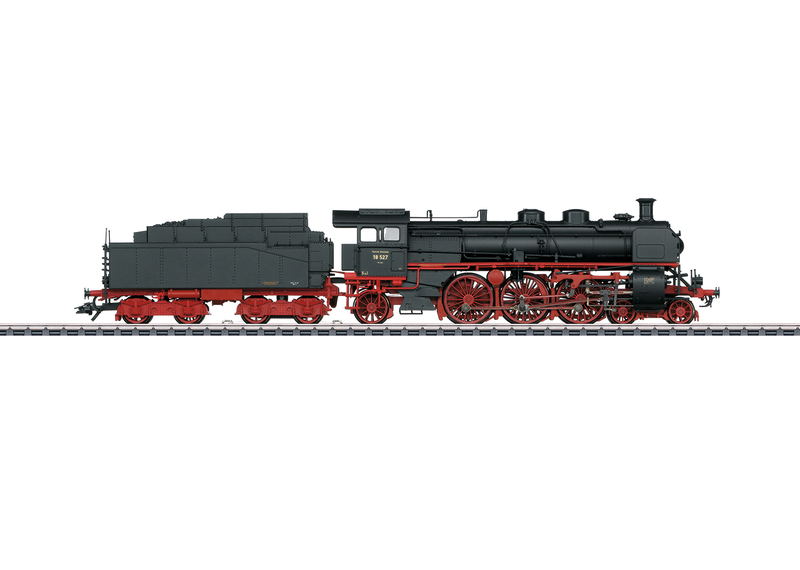 This train set can be found in a DC version in the Trix H0 assortment under item number 21928. L Dual red marker lights.